Exactly one year ago, Elon Musk revealed that he’d co-founded a new startup, Neuralink, with the ambition of inventing a brain-computer interface or, as it was later called, a “wizard hat for the brain.” These types of interfaces, in their current iterations, are mostly used to treat Parkinson’s disease and other brain disorders, and the Defense Advanced Research Projects Agency has poured $65 million into this research. But the tech industry sees them as transformative devices that could potentially enable breakthroughs in silent, thought-to-text typing or even telepathy. Musk has been uncharacteristically quiet about his work at Neuralink, except to suggest in an April 2017 interview with Wait But Why that the company is interested in treating brain disorders and, within the next decade, enabling telepathy through neural implants. Though Neuralink has remained highly secretive about its work since its launch last year, its sparse website states that the startup is developing “ultra high bandwidth brain-machine interfaces to connect humans and computers.” It fails to mention, however, that Neuralink is at least preparing to test its devices on animals, if not already doing so. One of the startup’s first endeavors, according to public records obtained by Gizmodo, was taking the necessary first steps to transform its San Francisco headquarters into an animal testing laboratory and machine shop. Neuralink later claimed to city officials that it had abandoned the laboratory remodel. However, the company is currently conducting research at the University of California’s Davis campus, and other evidence points to continued ambitions to create its own lab. The public records provide some of the only insight into Neuralink’s activity in its year of existence. A spokesperson for Neuralink declined to comment on this story. Musk did not respond to a request for comment. Although he’s typically prolific on Twitter about his many ventures, Musk has only tweeted about Neuralink three times (two of the tweets were disputing a Wall Street Journal report that the company had missed a fundraising goal; Musk said Neuralink isn’t fundraising at all). Compare that to his dozens of tweets about The Boring Company, his tunneling venture that also hawks promotional hats, flamethrowers, and Lego-like bricks made out of leftover rocks. Musk’s relative silence about Neuralink—and Mark Zuckerberg’s near-silence about Facebook’s brain-computer interface project, for that matter—may have something to do with the fact that an important part of developing neural implants is testing them on animals. In the image-conscious tech industry, the necessity of animal testing isn’t at the forefront of companies’ pitches for brain-computer interfaces. The industry wants its innovation to feel like a magic trick rather than a rigorous and potentially painful scientific process. But magic isn’t real, and the people who promise it to you are performing a sleight-of-hand, trying to convince you to look away from something. That something might be the sweat of the workers that went into the product, a clever technical advancement that a company doesn’t want its competitors to copy, or the animals that served as beta testers. The magic trick of pulling some new innovation out of a hat isn’t necessarily nefarious, but it is a trick—and understanding why a billionaire inventor is trying to distract you is always worthwhile. Since the earliest days of brain-computer development, researchers have incorporated animal testing into their work. Yale researcher Jose Delgado experimented with brain implants on cats, monkeys, and humans in the early 1970s, and brain-computer interfaces became more widely developed in the late 1980s and early 1990s. Animal testing is an inherent part of this development process—after all, no one wants to put an untested computing device into their brains, perhaps forever. “Things that could not be feasibly done in humans are done in animal models,” Alik Widge, a psychiatrist-engineer at Massachusetts General Hospital who researches electrical and magnetic brain stimulation, explained to Gizmodo. In other words, before we put wizard hats on ourselves, we need to put them on animals. Neuralink occupies a denim-colored office building in San Francisco’s Mission District, a rapidly gentrifying neighborhood that’s been locked in protests against tech commuter shuttles and evictions, becoming a symbol of the devastating effects of the industry’s wealth on the communities that came before it. The building is shared with another Musk-affiliated venture, OpenAI, and its gated parking lot is packed with Teslas. The company had ambitious plans to transform two floors of the building into laboratory space. In February 2017, before the company officially launched, Neuralink notified the San Francisco Planning Department of its renovation plans. The laboratory plans demonstrate the two tracks Neuralink planned to follow in order to develop brain-computer interfaces: build its own custom implants in its machine shop, and test them on the rodents living upstairs. Neuralink hopes to develop implants that are less invasive than current offerings. One option reportedly under consideration is neural dust—tiny specks of silicon that would be sprinkled into the brain and monitored via ultrasound, providing information about what’s happening inside the brain. In April 2017, Neuralink requested a permit for keeping and using laboratory animals—mice and rats—from the California Department of Public Health. Lab testing on rodents isn’t federally regulated, but California requires organizations that do rodent testing to obtain a permit. A spokesperson for the department said the permit, a copy of which was obtained by Gizmodo, was mailed to Neuralink in May of that year, and that DPH did not conduct an inspection of Neuralink’s facilities before issuing it. “The California Department of Public Health’s (CDPH) Laboratory Central Services generally grants permits based on the application, but reserves the right to inspect at any time,” the agency spokesperson said. Neuralink’s permit is set to expire this April. As of early this month, CDPH had not received a renewal application from the company. 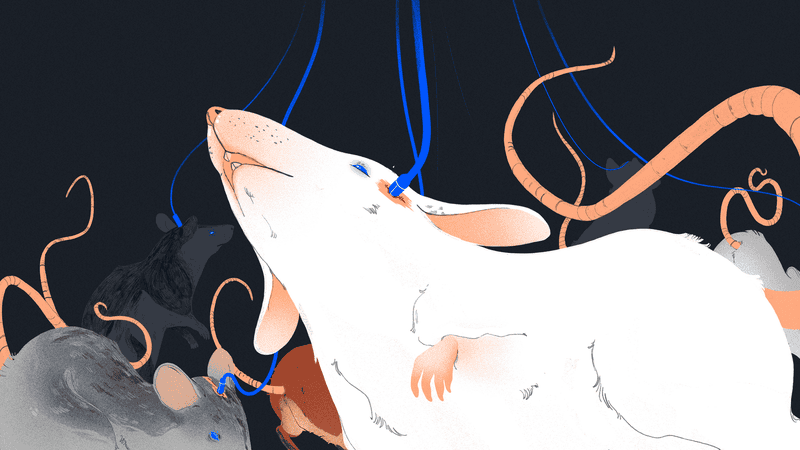 Mice and rats are often early candidates for testing neural implants, Widge explained. “In rodents, there are incredible genetic engineering tools that let you record hundreds of brain cells at once and track them over weeks or months,” he said. These tools allow scientists to study how neural networks communicate and understand information, and would be well-suited to a study on neural dust. However, it’s unclear if Neuralink has yet followed through with its plans to build its lab. The Planning Department demanded more information from Neuralink in order to approve its building permit, including details of its research and its proposed floor plans, but Neuralink never handed over that information. Later that month, an architect working with Neuralink contacted the Planning Department and asked for a copy of the letter, records show. After several follow-ups from the city, the architect finally responded in June, claiming that Neuralink had decided to build its facility at another location. “They are looking elsewhere outside the City of SF for their facility,” he wrote in an email obtained by Gizmodo. A spokesperson for the University of California, Davis, confirmed that Neuralink began sponsoring research at the university sometime after June 2017. Additional information about the Neuralink-funded grant was not immediately available. Davis is home to the California National Primate Research Center, one of seven primate research facilities in the nation dedicated to biomedical research, as well as several other animal testing facilities. Hundreds of corporations finance research at the university each year. During the fiscal year of 2017, UC Davis received $783 million in research sponsorships. While most of that money comes from government entities, $61.5 million came from corporations based in the US and abroad. Funders include tech firms like Genentech, Intel, and Impossible Foods (maker of the lab-grown Impossible Burger), as well as other major companies like General Electric and Lockheed Martin. However, research conducted in partnership with California’s public universities is required to be made public—a possible drawback for a secretive startup. If Neuralink did indeed build its own animal laboratory outside of San Francisco, it didn’t select another location in California. The California Department of Public Health confirmed that neither Neuralink nor Birchall have received an animal testing permit for another location in the state. Unlike California, the federal government does not monitor testing on mice, rats, birds, or cold-blooded animals. Neuralink does not appear on the US Department of Agriculture’s list of organizations authorized to test on larger, warm-blooded animals. But Neuralink is likely conducting animal research. Several of Neuralink’s co-founders have extensive backgrounds in the field, and even Musk himself isn’t a stranger to animal testing—according to his biographer, Ashlee Vance, Musk mused about sending mice to Mars in the early days of SpaceX. In August, a woman posted on LinkedIn that she’d been hired as a surgical technician at Neuralink in San Francisco. “I have experience with performing gastrointestinal surgeries on several animal models, including rats, rabbits, cats, and pigs. I am currently working as a surgical technician at an Elon Musk startup called Neuralink,” she wrote. Her affiliation with Neuralink was later scrubbed from her profile, and she did not respond to a request for comment from Gizmodo. While Neuralink is engaged in research at UC Davis, it appears to still be pursuing plans for its own lab 70 miles away, back in San Francisco. In late November 2017, the company added a job posting that originally sought a construction project engineer/laboratory manager in San Francisco, whose responsibilities include managing a clean room and machine shop like the ones referenced in Neuralink’s initial proposal to the Planning Department, as well as a “laboratory build-out.” (The listing, which remains active, now seeks only a laboratory manager.) There is no explicit mention of animal testing-related responsibilities in the job listing. A lab for building medical implants wouldn’t be out of place, but building an animal facility in the heart of San Francisco would be unusual and speaks to the financial muscle Musk brings to the project. Some medical device researchers will contract with third-party vendors to build their supplies, but a tight-lipped company like Neuralink might opt to do everything themselves. “If you really needed to maintain utmost secrecy and you didn’t want anyone gossiping about it, you could do everything in-house. It’s just incredibly expensive,” Widge added. Although the location Neuralink selected is unusual, the company’s laboratory plans aren’t. Widge predicts that, although Neuralink is currently only licensed to test on mice and rats, the company will eventually need to expand to larger animals like pigs and sheep as it begins to seek approval for its devices from the Food and Drug Administration. “You need an animal that has a big brain with lots of folds and anatomy kind of like a human,” he said.